Today we get to know our Missions Director, Shayla! In Shayla’s free time, she binge-watches TV shows or enters contests/giveaways (she says she’s won just a few things). 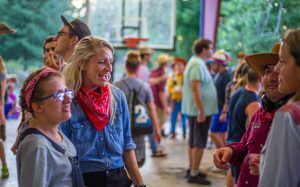 Question: What is your role at camp this summer? Answer: This summer I will be serving as the Missions Director. It is my job to ensure that every Missionary who comes through the gates of Barnabas gets the best experience possible while serving others and being the hands and feet of Christ. 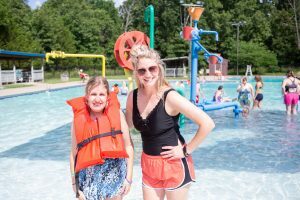 I work along the Camper Registrar in seeing what our needs are each week and continuing to recruit for individuals to join for this summer and future summers. Question: If you could write any kind of book, what would it be about? Answer: If I could write any book, I would write about the people we need in our lives. It is so important to surround ourselves with the right people if we want to accomplish, achieve, and be better. Personally, I have had individuals push me in every area of my life and I love to share how those relationships have shaped my life. Question: What do you love most about your job/what are you most excited for? Answer: At the Barnabas office, I get to do life with some pretty amazing people who welcome me with open arms and help me to grow in every area of life. I am looking forward to this summer and hearing how the Lord worked through all the missionaries who served with us. I am also excited to see my girls from “G3” who I had the opportunity to serve with last summer! Question: What’s your favorite story from camp? Answer: Last year I got to serve as a missionary for Adult Friends Week (shoutout to my girls in G3), and I met the sweetest camper who has now become a very dear friend of mine. On the second day, we were walking from the Dining Hall to our cabins, and she had her arm linked with mine and we were just enjoying the weather and each other’s company. Out of nowhere, this dear friend says, “Miss Shayla, you just make my heart smile”. In this moment, I was reminded that every day the Lord makes my heart smile with the people He brings into my life. 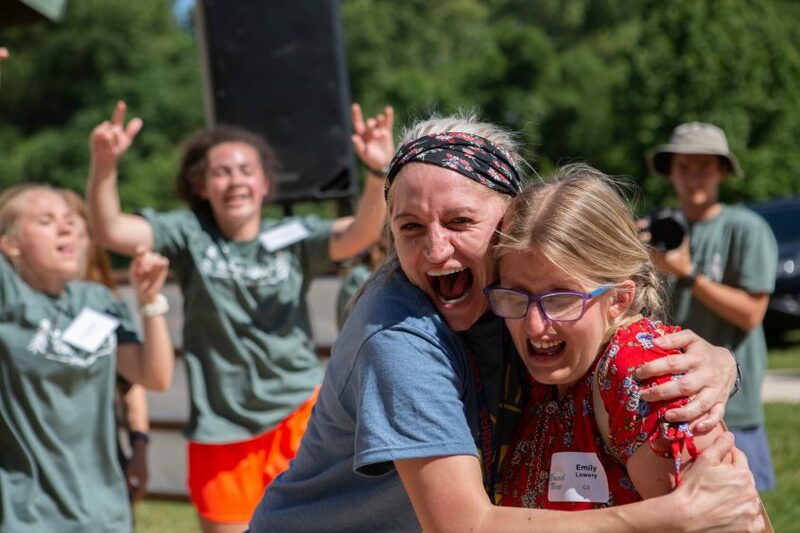 Question: What’s your favorite part of camp? Answer: My favorite part of camp is the pool. Last year, I had a camper in my cabin who had never gone down a slide before and she was really nervous to go. She had asked me and another counselor to walk up with her because she was nervous. We got all the way up there and she says, “I don’t think I can do this.” After about 15 minutes of deciding, getting a group of individuals to cheer for her at the end, and joining her arm-in-arm at the top, we made it down the slide. This was a moment we all got to say “Yes” together and after that, I bet she went down about 15 more times that day. Question: Why did you decide to do the work you’re doing now? Answer: One day I was serving with my dear friend, Sarah Wilson (some of you may know her) and she shared her heart for the ministry, and I asked her questions on questions of how I could also work at this place. 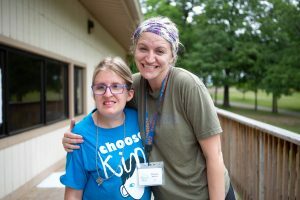 I would say this process went on for about a year, until one day she told me that Barnabas was hiring and the position she told me about was everything I had been praying for. One thing led to another and a year and a half later all those prayers had been answered. Question: What’s your favorite camp song? Answer: The “Milk” song! It’s so energetic and I feel like each time a letter is announced it gets even louder. I mean what’s better than being in a group of 100+ people screaming a song about milk? Question: What’s one thing people should know about you? Answer: Tell me to do something and the majority of the time I will probably do it; anything to make people smile and laugh (anyone with me?). Question: If you didn’t have to sleep, what would you do with all your extra time? Answer: You could probably find me watching TV, baking, or writing letters – I mean actual letters and cards. Want to become pen pals? Hit me up! Question: What’s your go-to song when you’re chanted up to sing? Answer: “Baby” by Justin Bieber. 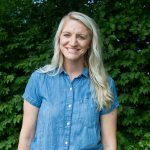 In case you’re wondering where Jamie Munroe, our last Missions Director is, you can catch her anytime over at Barnabas Prep!